One of the cool things about writing fantasy is being able to create the society and magical rules of the world. As a pantser, I don’t map everything out before hand, but learn the rules as I go. And there are always rules that I must strictly adhere to as soon as my characters reveal them to me. At the Keep, Jiline finds herself in a place full of rules. New ones she has to learn and old ones she’s always known. I had a lot of fun creating the Keep and learning its secrets as Jiline learned them and Herrick revealed the ones he already knew. The Mages of the Keep have been recruiting children between the ages of ten and sixteen for over two hundred years. All of the villages, towns, and cities know of these recruitments, yet no one ever questions why it has to be a child or teenager or their method of choosing potential unicorn keepers. The Mages arrive in a village, gather all children within the age range, and present a simple crystal before each child. The crystal glows if the child is pure and doesn’t glow if the child isn’t. Yet, no one is real clear on what pure means. Pure of body and soul is what Mage Brennah tells Jiline later on. Pure of body is pretty easy to figure out, but what is pure of soul? It is only later that Jiline learns the crystal is not a pureness test, but tests something else all together. The Keep is full of young people supervised by a few very powerful adults. Jiline is one of many trainee keepers who arrive in the Fall. There are also the unicorn keepers and the house keepers who work and live within the Keep. Many mages visit as guests during the traveling season, but leave before winter arrives and the mountain passes become impassable. Those selected as unicorn keepers work hard for very little in exchange. 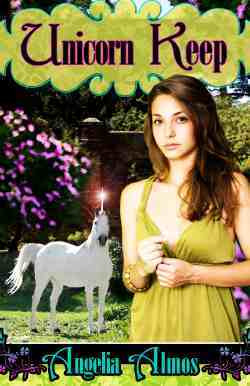 Though the keepers watch over the unicorns they are also taught to be wary of the magical creatures. It’s in the mages interest to make sure no one grows to close to the unicorns within the Keep’s valley. It was fun exploring the Keep from two sets of eyes and perspectives. Jiline who has just arrived and is being trained to become a unicorn keeper and Herrick who grew up within the Keep and is a mage. Mage Herrick, son of the Keep Mage, returns home to the Keep as the trainee keepers arrive. A chance encounter with Jiline, who he believes is Madelen, on the trail sparks a magical connection between the two. Knowing he can’t feel a magical draw to someone who has no magic, he tries to prove Madelen (Jiline) has magic within her. His attention brings unforeseen complications for both of them. 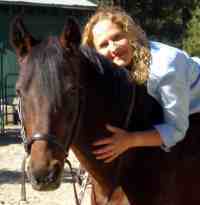 Angelia Almos formed a lifelong passion for horses at the age of five when she talked her parents into riding lessons. Horses often play a prominent role in her young adult fantasy books. She also write horsey nonfiction and space opera. She lives in the Sierra Nevada Mountains with her husband, two daughters, two dogs, two cats, and one pony (she often thinks of bumping that number up to two). 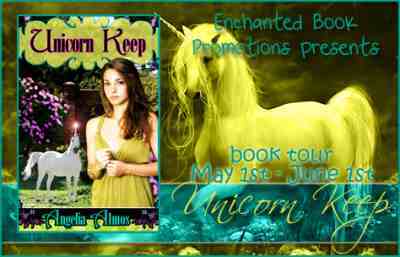 Thanks for being a stop on the Unicorn Keep blog tour. Thank you for the awesome guest post! I enjoyed having you visit Pretty Opinionated. I want to get the book “Unicorn keep”. I think this book is full with magical stories. It is only my imagination about that book, but i am not sure about it. So, i want get the book.